Tequila is one of the more highly regulated spirits on the market. To be labeled “Tequila”, a spirit must be made from Blue Webber Agave grown in Mexico, and distilled and bottled in a small set number of regions, with the majority coming from Jalisco, Mexico. Each bottle of tequila has a unique number on it called “NOM” which lets you know exactly which distillery manufactured it. Because there are a limited number of distilleries located in approved tequila producing areas, some distilleries manufacture spirits for a number of tequila labels. For example, NOM 1416 is the distillery where Tequila Avion is manufactured, and it’s also the same place that makes Clase Azul Tequila and George Clooney’s Casamigos Tequila. 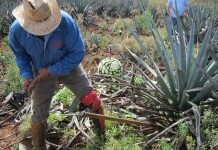 This doesn’t mean that Avion and Casamigos are the same tequila, because the styles, manufacturing techniques, and source of the agave plants can be radically different from brand to brand, even if they are produced at the same “NOM”. In general, brands select a single distillery to work with and they use that brand’s NOM on their bottles. 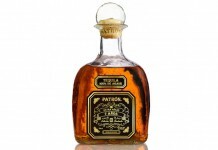 Tequila ArteNOM, from Las Joyas del Agave, is unique in that it draws tequila from several different distilleries, acting like a curator and showing off the “house style” of different distilleries. ArteNOM also showcases the different characteristics that agave has when grown at different altitudes, which is often referred to as tequila’s highlands and valley (or lowlands). Tequila ArteNOM Seleccion de 1580 Blanco Tequila (40% ABV / 80 Proof, NOM 1580, $49) – NOM 1580 is Destiladora El Paraiso, S.A. de C.V. located in Jesus-Maria, Jalisco with Master Distiller Maria de Rosario Salazar Ayala. Odds are you may not have had a tequila distilled here as they produce the lesser known Agave Dos Mil Tequila as well as a cinnamon and pineapple tequila called Dirty Tequila (one of the better examples of how one distillery can produce a wide range of styles and quality). ArteNom 1580 Blanco Tequila is made from agave grown at 6,200 feet, one of the higher elevations where agave is grown, putting this tequila in the highland’s class of spirit. The nose of ArteNOM 1580 Blanco is reflective of the high altitude grown agave, with rich roasted agave notes in the nose along with ripe pineapple, salt, light cinnamon, subtle green jalapeño pepper, and dill. The entry captures the roasted agave from the nose which integrates rich roasted agave flavor, ripe pineapple, and banana with spicy white pepper and a touch of jalapeño. It’s a good amount of flavor and complexity right out of the gate and the flavors are balanced very well. In the midpalate, some of the sweetness from the entry subsides and we see an increase in the white pepper spice as well as a boost in jalapeno and the introduction of cinnamon spice. The banana note from the entry is still very much there, but in the midpalate it’s much more of a supporting flavor. Things also start to really dry out in the midpalate and we get a little lime added to the mix as we head toward the finish. The finish is fairly dry and slightly spicy. It flirts with being overly dry but it feels more like a stylistic choice rather than a flaw. 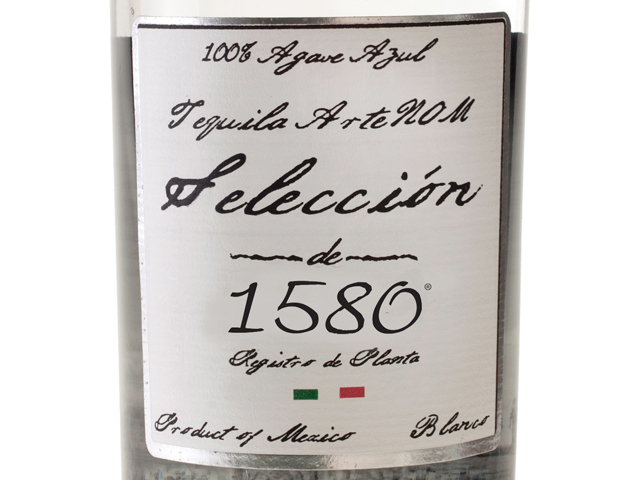 ArteNom 1580 Blanco Tequila does a nice job of balancing the rich, sweet fruit notes you often see in higher elevation grown agave with some of the spicier and slightly vegetal tones. The finish is a little drier than we prefer, but it’s easy to overlook given the finesse and balance presented with the rest of the flavor experience. 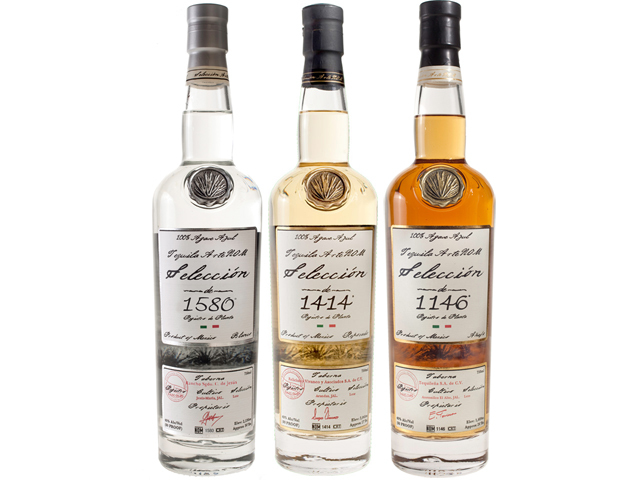 Tequila ArteNOM Seleccion de 1414 Reposado Tequila (40% ABV / 80 Proof, NOM 1414, $57) – NOM 1414 is the Feliciano Vivanco y Asociados, S.A. de C.V. Distillery located in Arandas, Jalisco with Master Distiller Sergio Cruz. 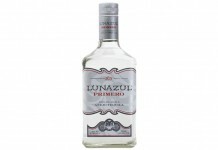 This distillery is the home to a number of fairly well regarded tequilas including Chamucos Tequila, Gran Dovejo, Don Webber, Mañana Tequila, Siembra Azul, and YEYO Tequila. 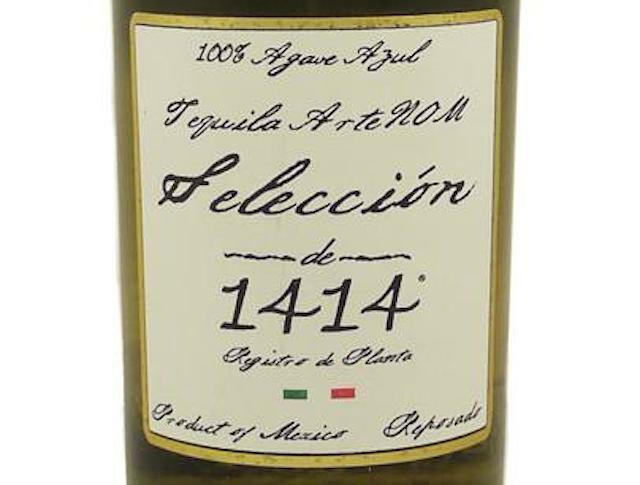 ArteNom 1414 Reposado Tequila is made from agave grown at 5,400 feet, another high elevation tequila. Aged for four months in third-fill ex-bourbon American White Oak casks, the ArteNom 1414 Reposado has a very light gold tinge and is almost clear in the glass. It’s refreshing to see a tequila company celebrate the naturally light color of reposado tequila rather than mask or color it. Even though it only spent a few months in casks, the wood notes from the cask are apparent on the nose with roasted agave mixing with strong cinnamon, light oak, and an undercurrent of vanilla. Also in the nose is some nice agave related spice, white pepper, dill, and touch of habanero. The entry for ArteNom 1414 Reposado is slightly spicy, with cinnamon and white pepper leading the charge. Tequila ArteNOM’s blanco was all about balancing the sweet and fruity notes with spice, whereas with the reposado it’s all about balancing out the spice with lightly sweet notes, with the cinnamon and white pepper supported with roasted agave and vanilla. In the midpalate we get the addition of some nice citrus with lime added to the mix. The midpalate continues to be a showcase for the warm spices in this reposado, especially the cinnamon which is now backed by clove, white pepper, and hot peppers. The finish is long and spicy with white pepper, cinnamon, hot pepper, and clove lingering on the palate. As with the blanco, ArteNOM’s 1414 reposado is a tequila that’s all about balance, with a presentation of barrel impact that serves to support and enhance the base tequila, not to cover it up. There’s some nice restraint at work here, too – it would have been easy to ramp the spice to make this a bolder tequila, but the commitment to balance really pays off with a reposado tequila that is excellent. 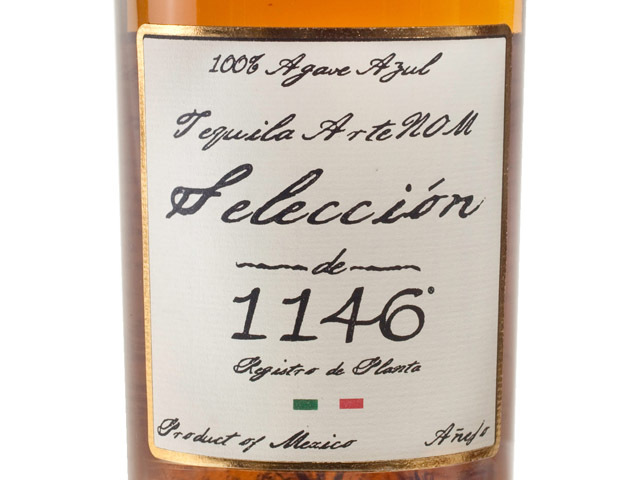 Tequila ArteNOM Seleccion de 1146 Anejo Tequila (40% ABV / 80 Proof, NOM 1146, $63) – NOM 1146 is Distillery Tequileña, S.A. de C.V. located in Antotenico El Alto, Jalisco with Master Distiller Enrique Fonseca, the man behind one of the most famous extra anejo tequilas in the world, Tres Cuatro Cinco Tequila. ArteNOM 1146 Anejo Tequila is made from agave grown at 4,600 feet, which even though is fairly high elevation, is in the lowland or valley category of tequila. The lowest point in the “lowland” area is 4,200 feet with Guadalajara at 5,000 feet above sea level. ArteNOM 1146 Anejo Tequila is a blend of tequila, 60% aged for 2 years in French Oak casks and 40% aged 3 years in French Oak casks. This blend is then married and aged for an additional year in ex-bourbon American Oak casks. Dark gold in color, the ArteNOM 1146 Anejo Tequila has picked up a great deal of color from its time in barrel. Given its color you’d expect the nose to be much oakier than it is, but this is ArteNOM and everything they bottle is about balance. Rather than dominate the nose, the solid oak is the supporting platform for the other aromas in the mix which include roasted agave. cinnamon, caramel, almond, and raisin. The entry for the ArteNOM 1146 Anejo Tequila is delicious, bringing together many of the elements from the nose in balance with the roasted agave, caramel, and raisin supported by toasted oak, cinnamon, almond, and white pepper. Some of the richer notes from the entry subside a bit in the midpalate to make way for a bit of herbaceousness including oregano, jalapeño pepper, and salt. Here we also get a touch of ginger and a boost in the white pepper and oak. The finish is long and captures the nice spiciness of this anejo tequila with oak and pepper lingering for quite some time. As with their reposado, ArteNOM shows immense reverence for the value of balance in tequila and does a superb job of presenting an anejo tequila that captures the impact of tequila’s time in barrel without letting that barrel completely dominate the spirit. Although Tequila ArteNom pulls tequila from three different distilleries, it has a unified style that’s consistent across all three expressions. Tequila ArteNOM is a perfect example of the flexibility and range of the distilleries in Mexico and how good a tequila produced there is as much dictated by specifications and supervision of a brand as it is by the distillery’s house style.